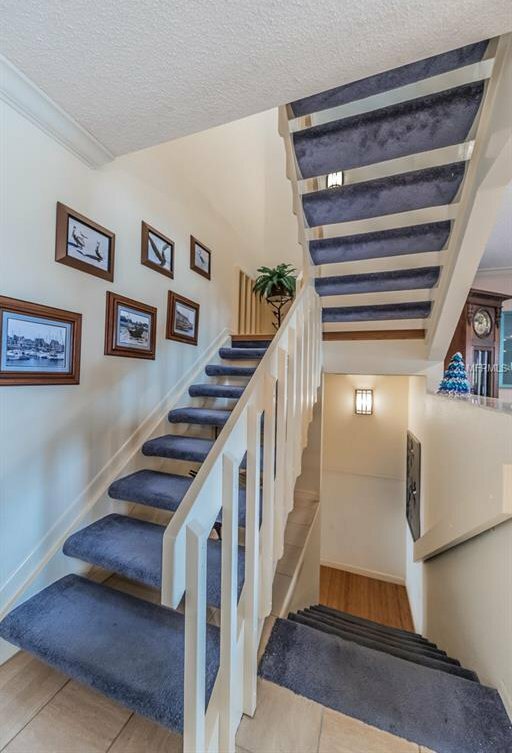 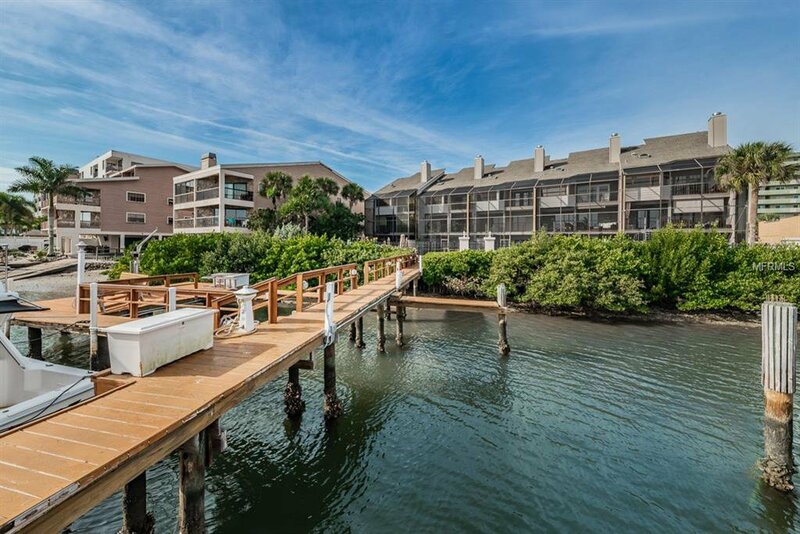 IT'S A WONDERFUL LIFE - SO, TREAT YOURSELF TO A GREAT WATERFRONT TOWNHOME ! 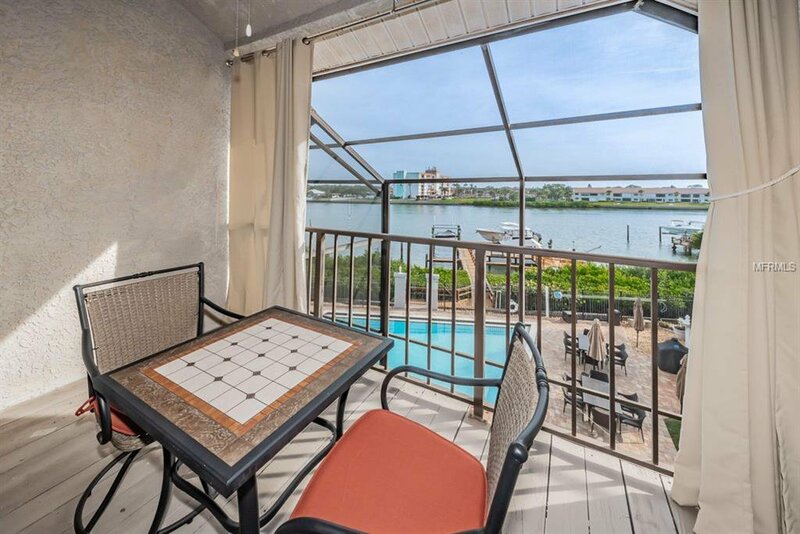 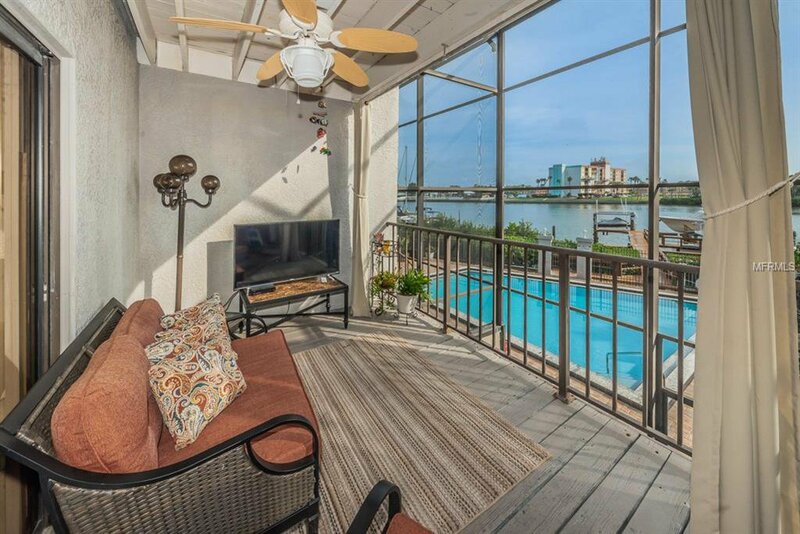 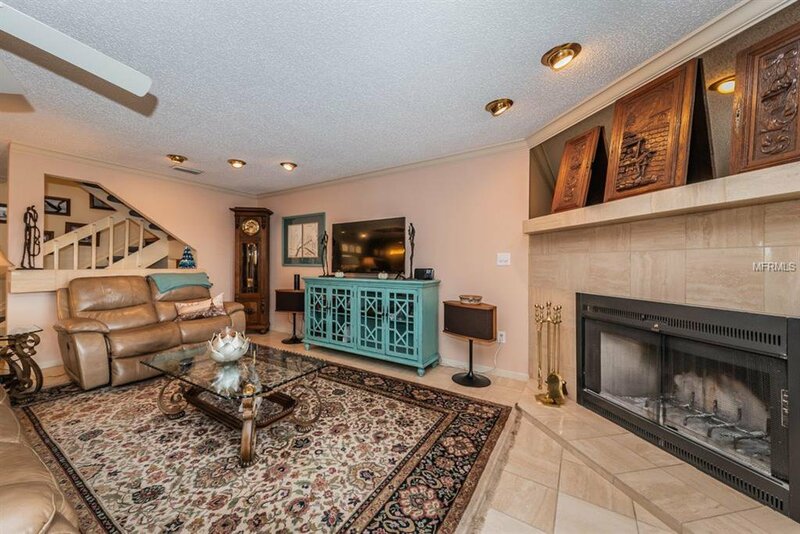 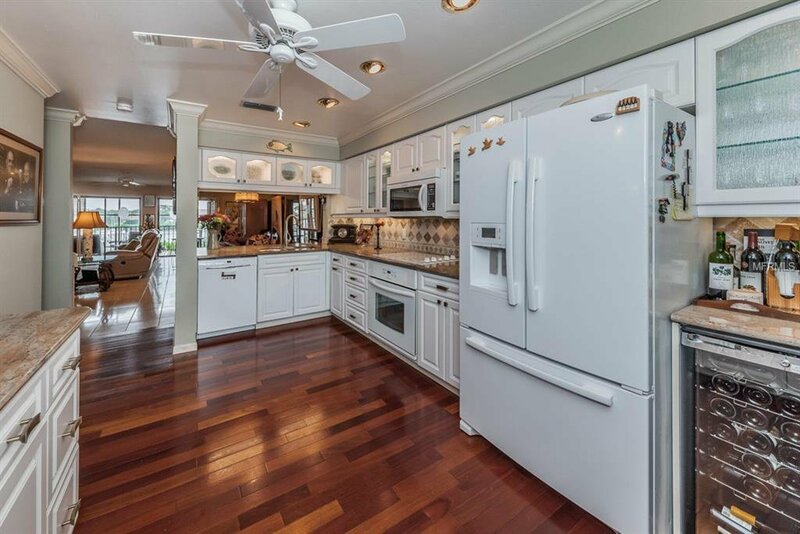 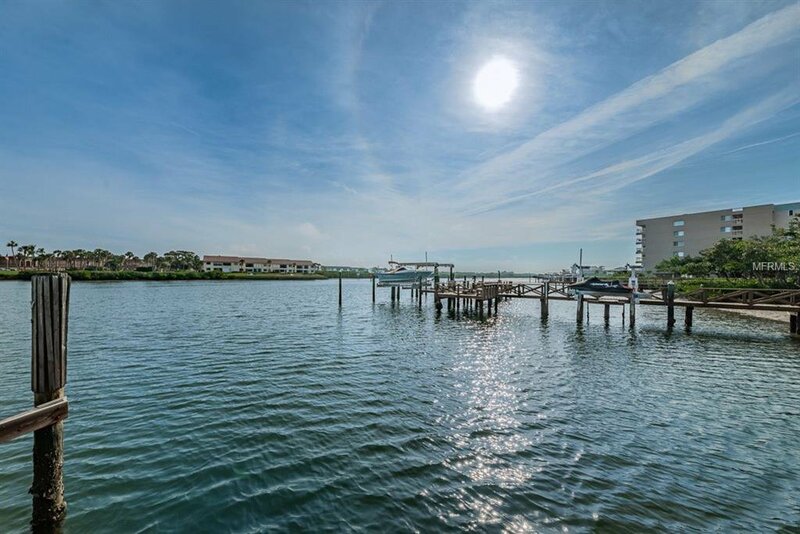 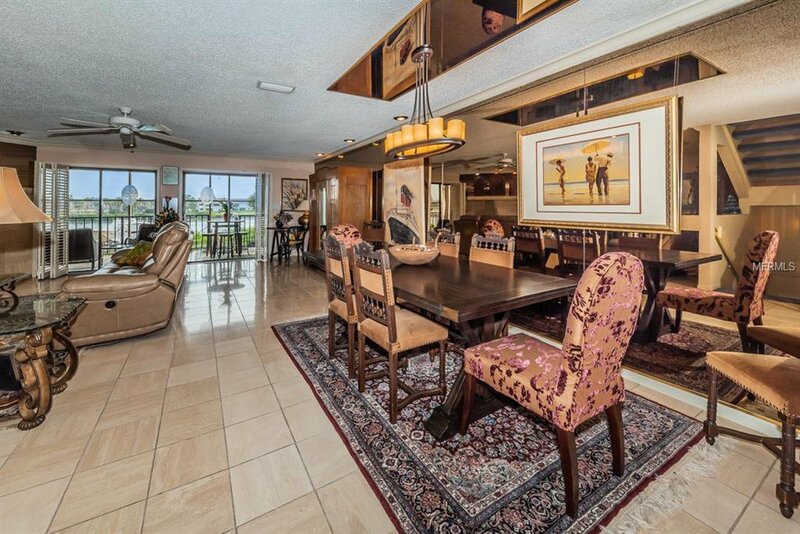 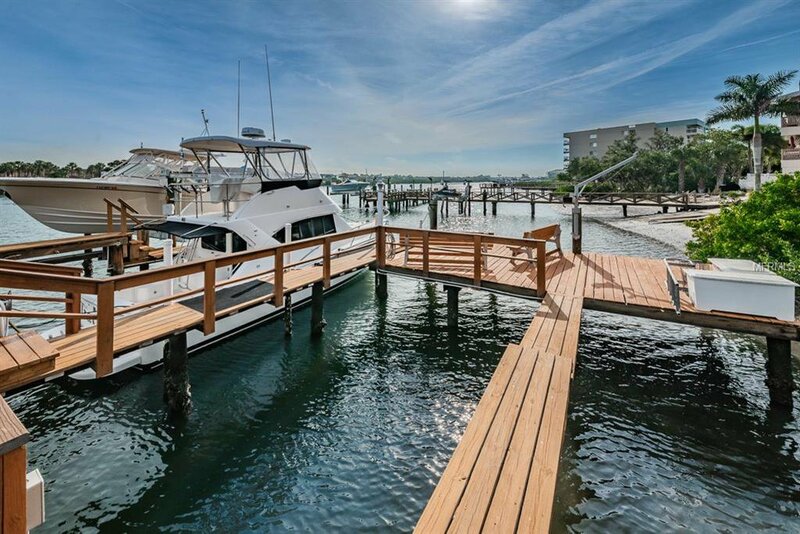 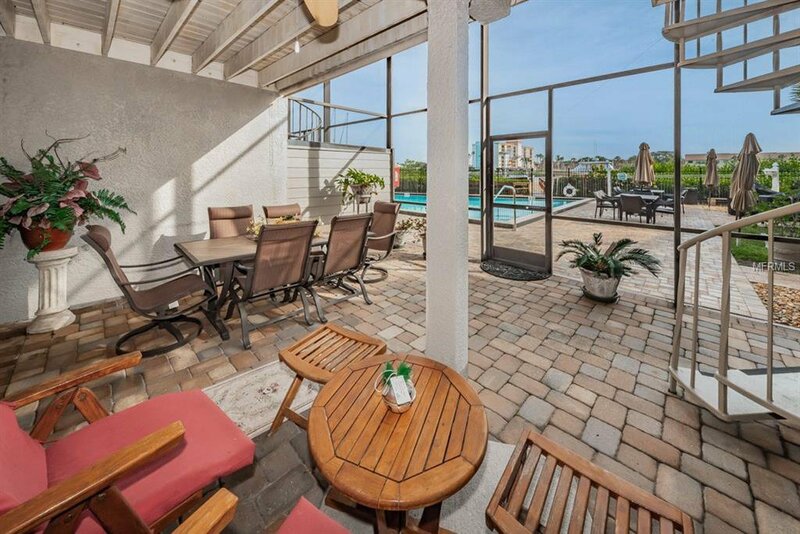 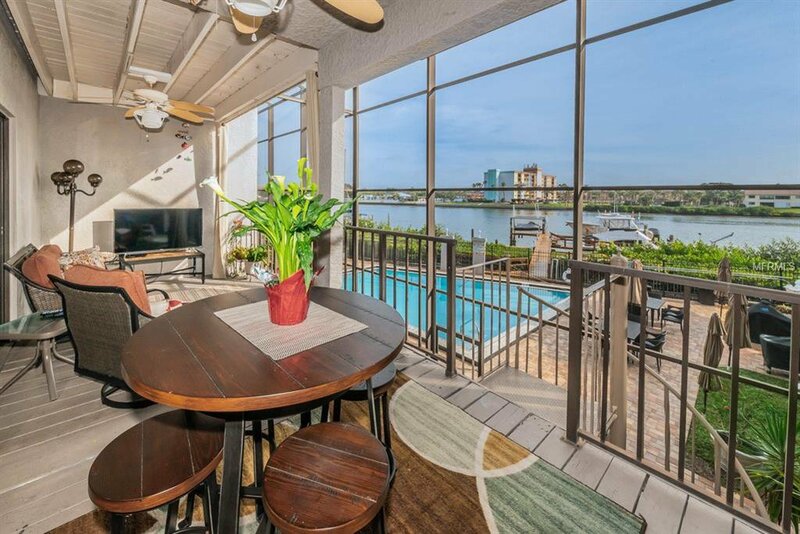 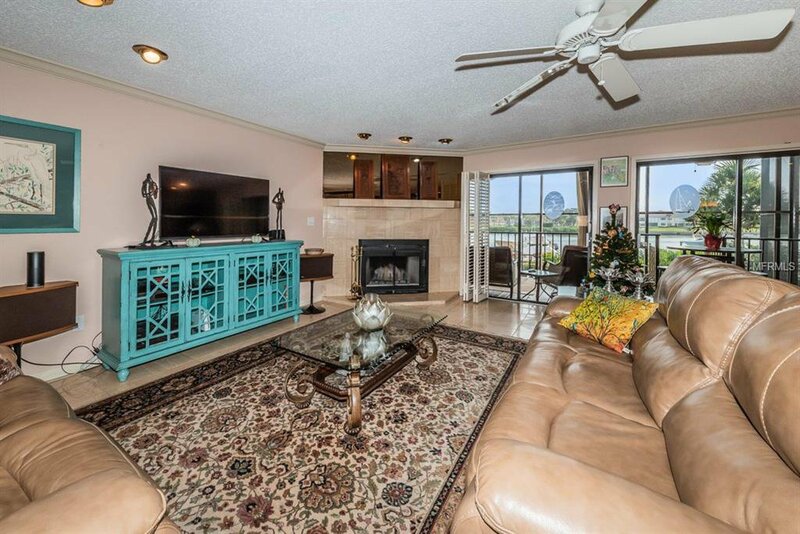 - LOCATED DIRECTLY ON THE INTRACOASTAL WATERWAY. 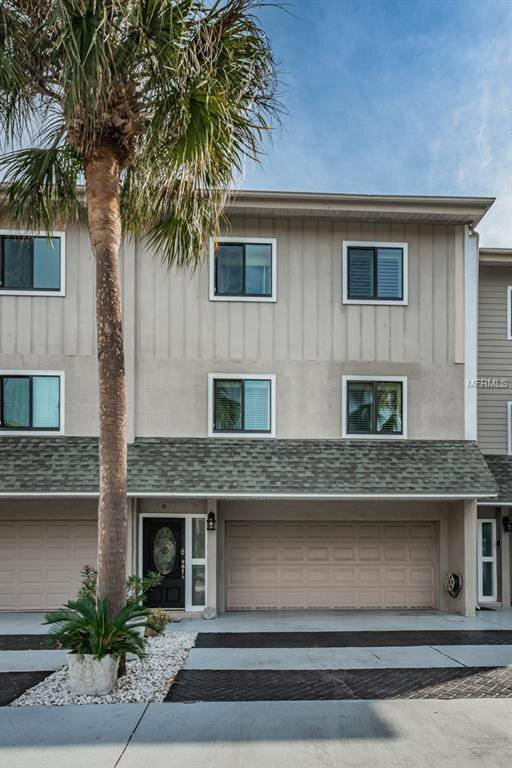 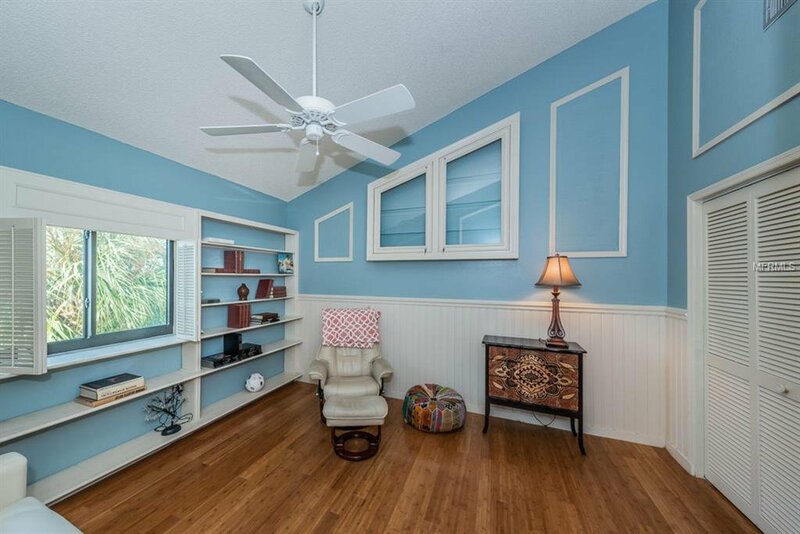 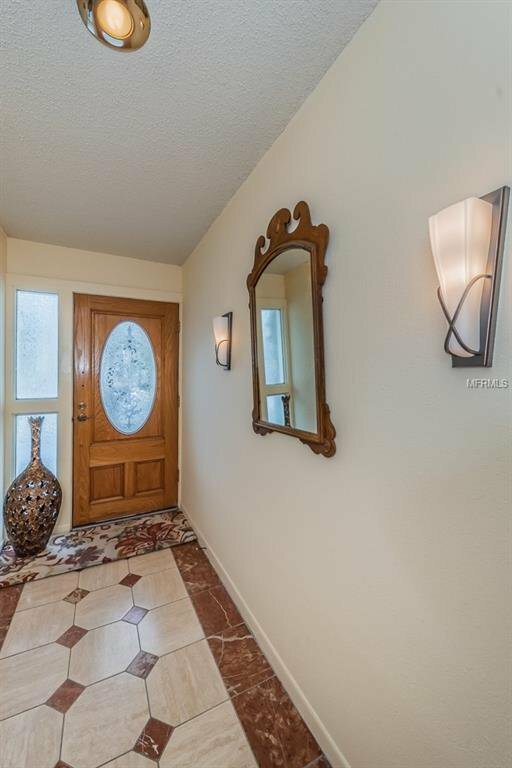 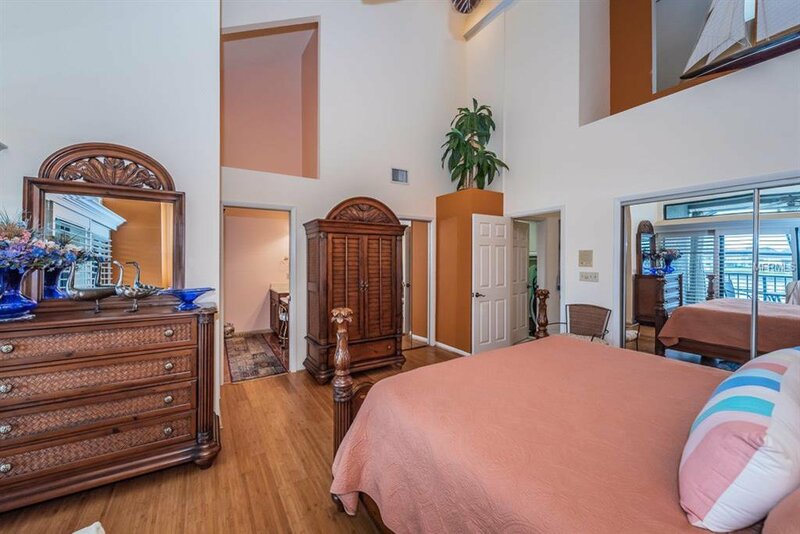 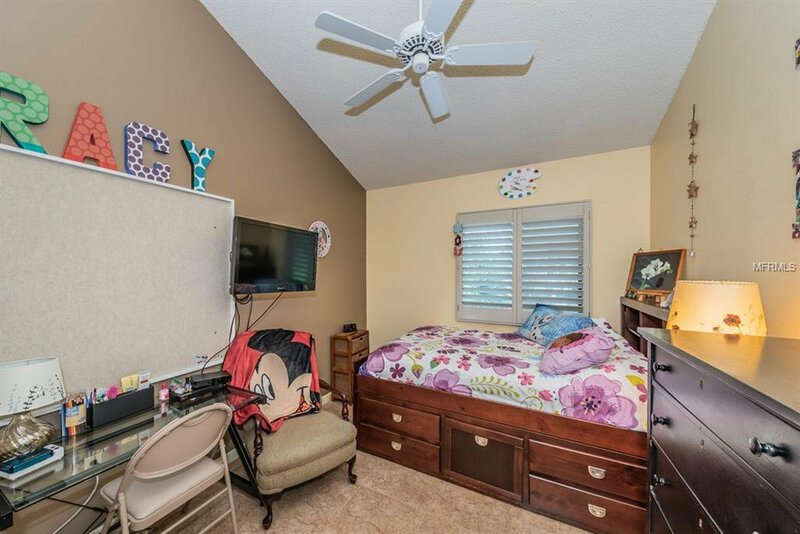 THIS TOWNHOME RESIDENCE HAS 3 BEDROOMS -2 & 1/2 BATHROOMS PLUS AN ADDITIONAL 4TH ROOM THAT IS CURRENTLY USED AS AN OFFICE AREA, BUT COULD ALSO BE A 4TH BEDROOM. 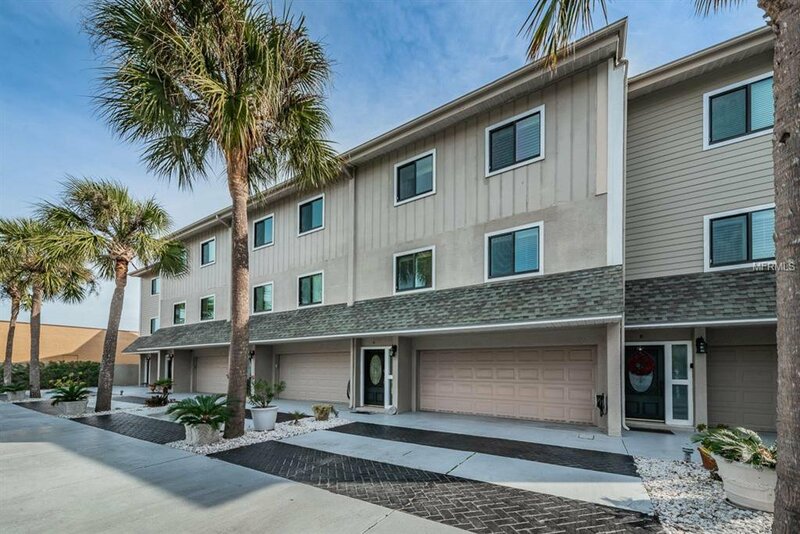 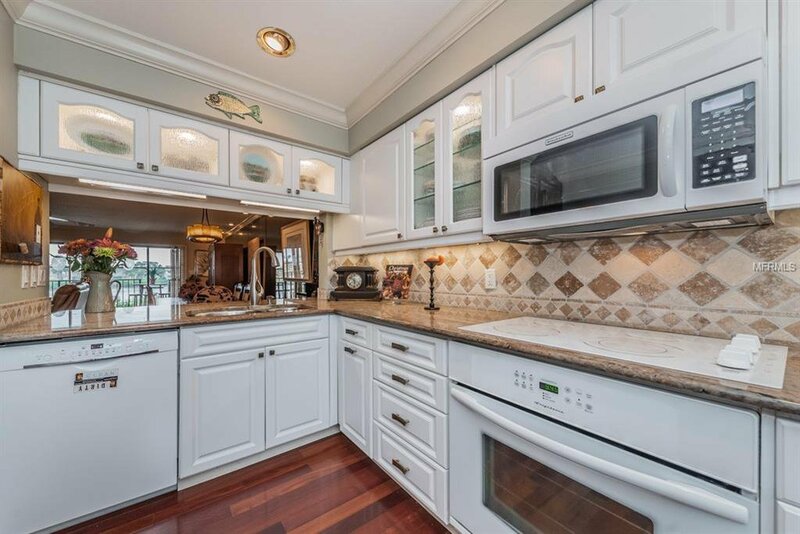 THE ATTACHED OVERSIZE 4-CAR GARAGE HAS A SIDE-BY-SIDE ENTRY, VERY RARE ON THE BEACH AND INCLUDES A LARGE ENCLOSED STORAGE ROOM AND WORK ROOM AREA. 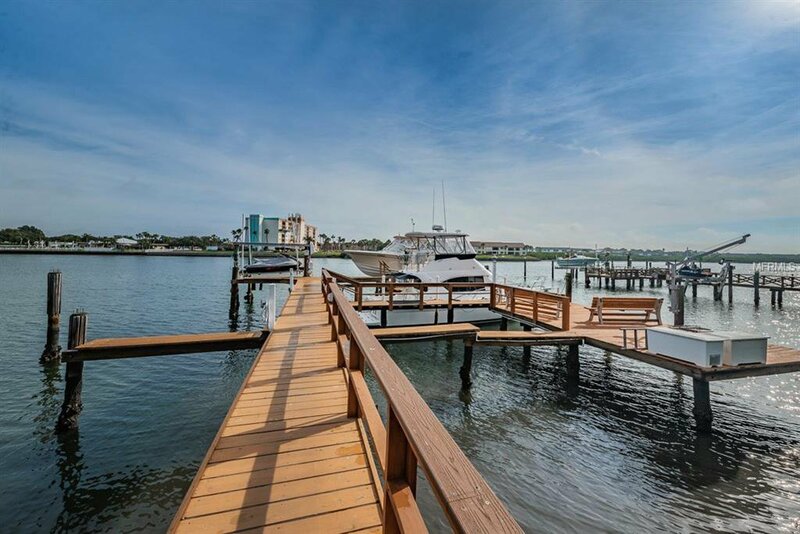 EACH, PORT ROYALE RESIDENCE ALSO HAS A "PRIVATE BOAT SLIP" ! 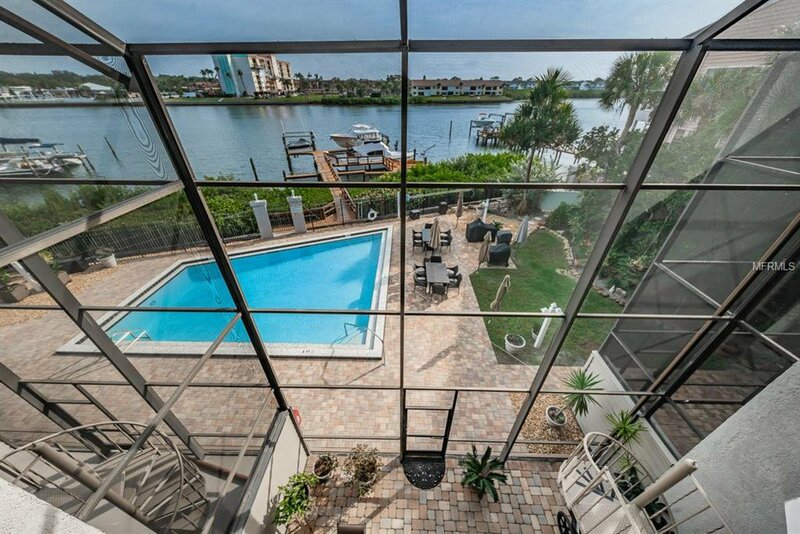 FULLY-GLASSED SLIDING DOORS WALLS LEAD YOU ONTO A PRIVATE WATERFRONT BALCONY WITH A SPIRAL STAIRCASE TO TAKE YOU TO THE FIRST LEVEL LANAI THAT IS EXTRA LARGE, SCREENED AND SUITABLE FOR ENTERTAINING. 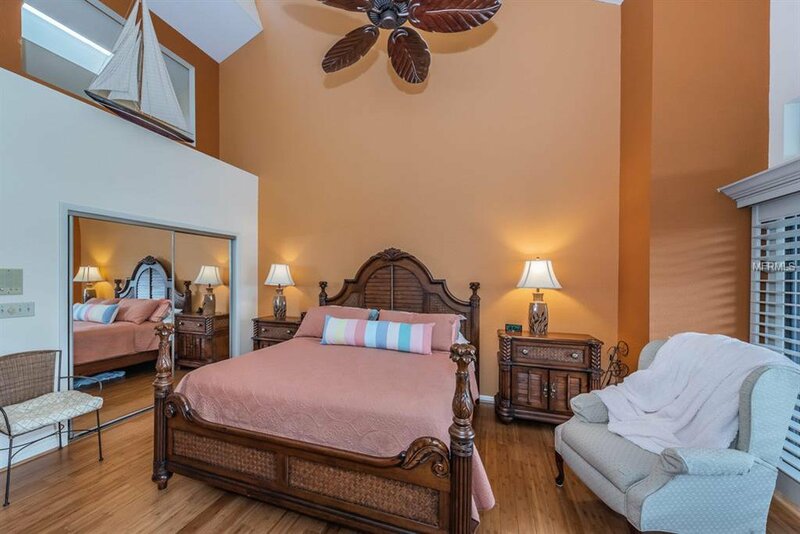 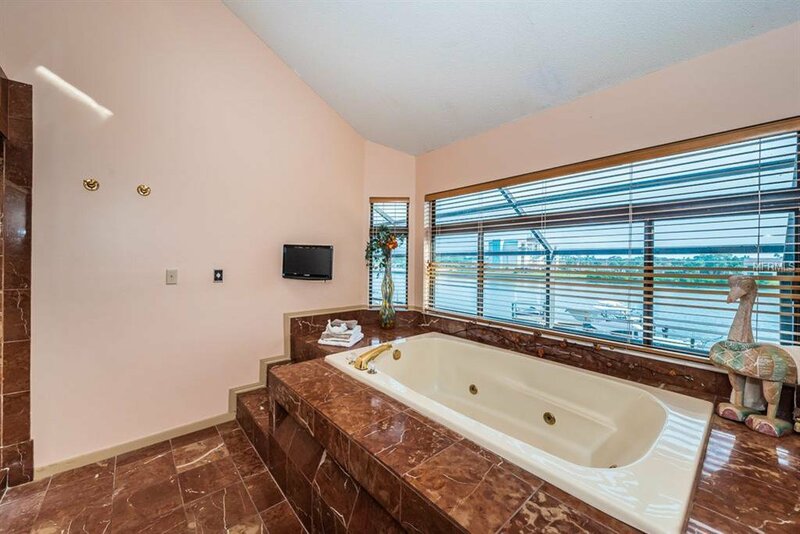 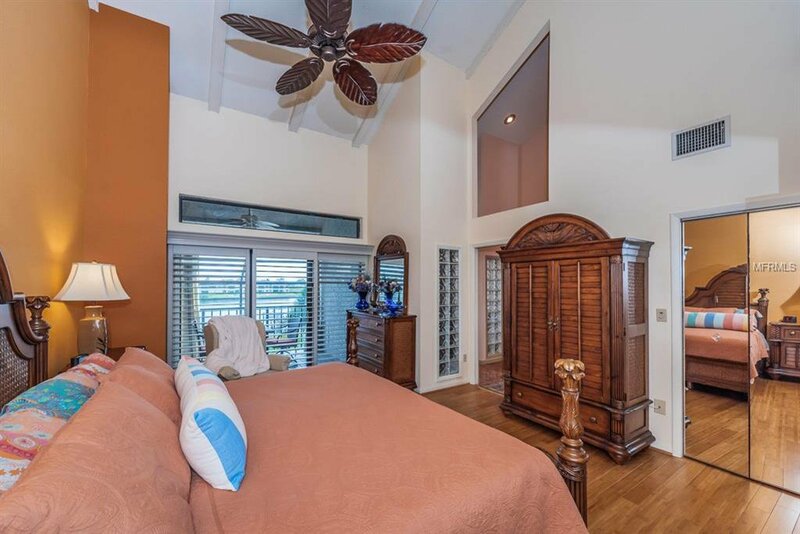 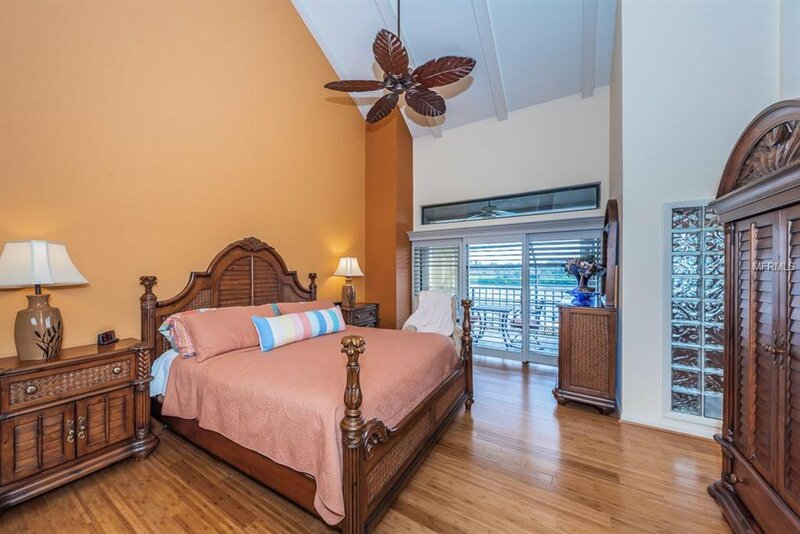 THE MASTER BEDROOM SUITE INCLUDES DRAMATIC VAULTED CEILINGS AS WELL AS A MASTER BATHROOM WITH SEPARATE SHOWER AND WHIRLPOOL TUB FACING THE VIEWS OF THE INTRACOASTAL WATERWAY. 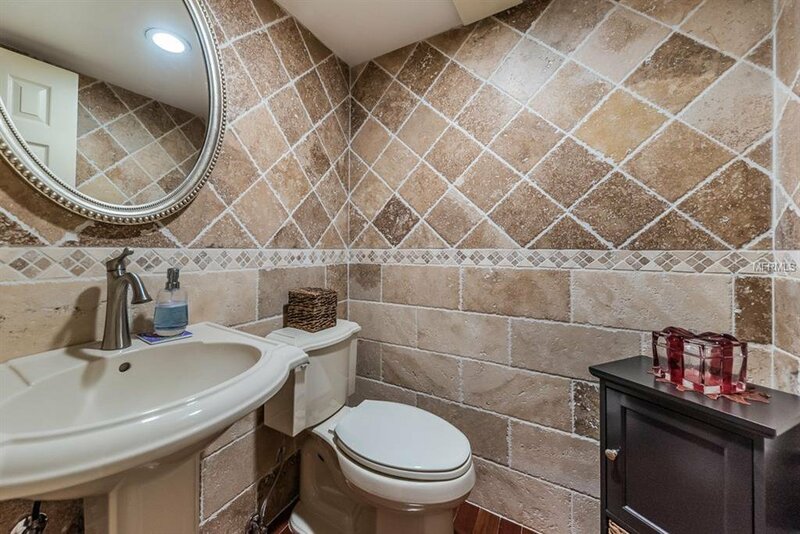 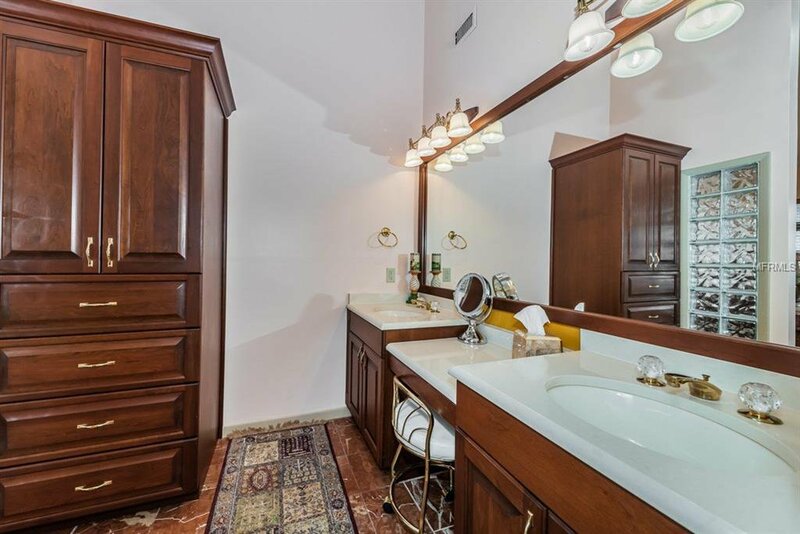 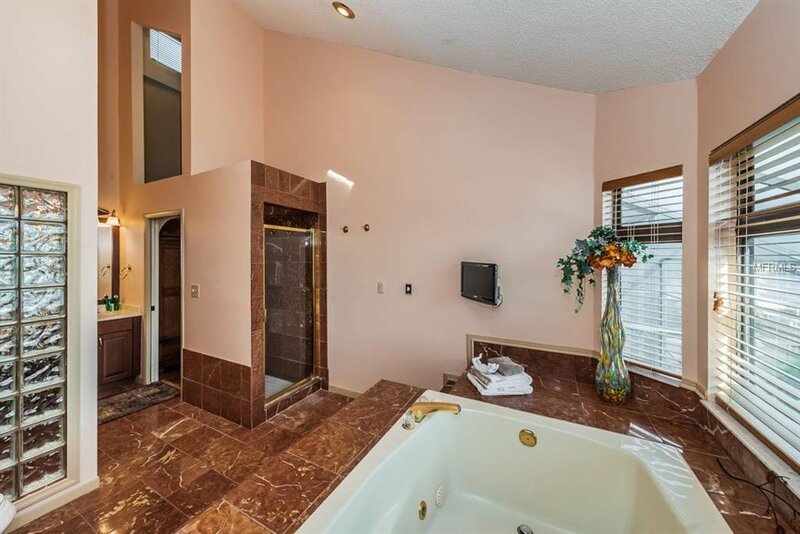 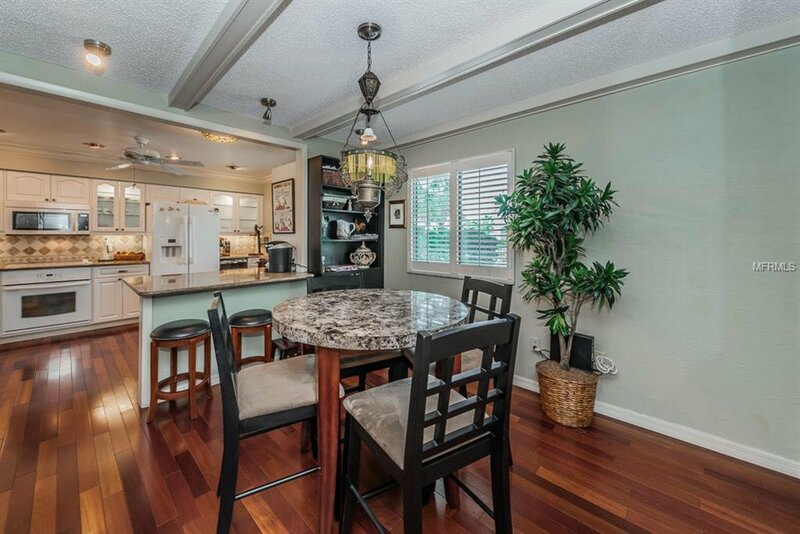 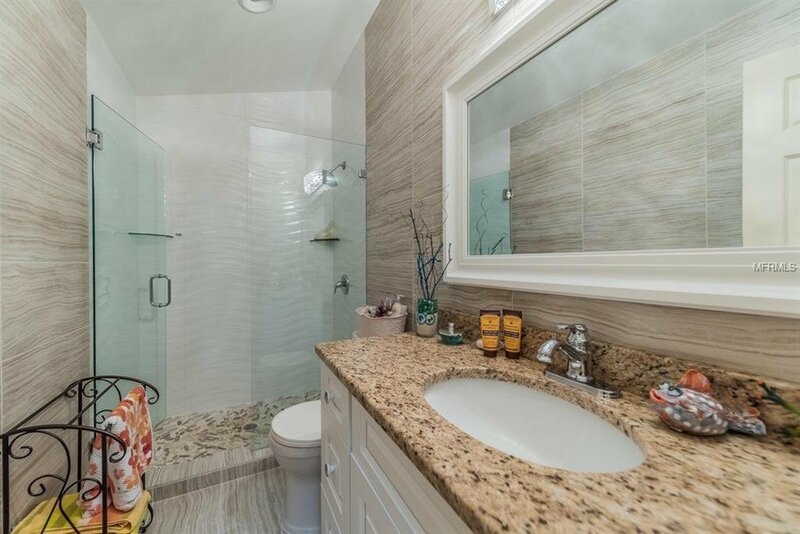 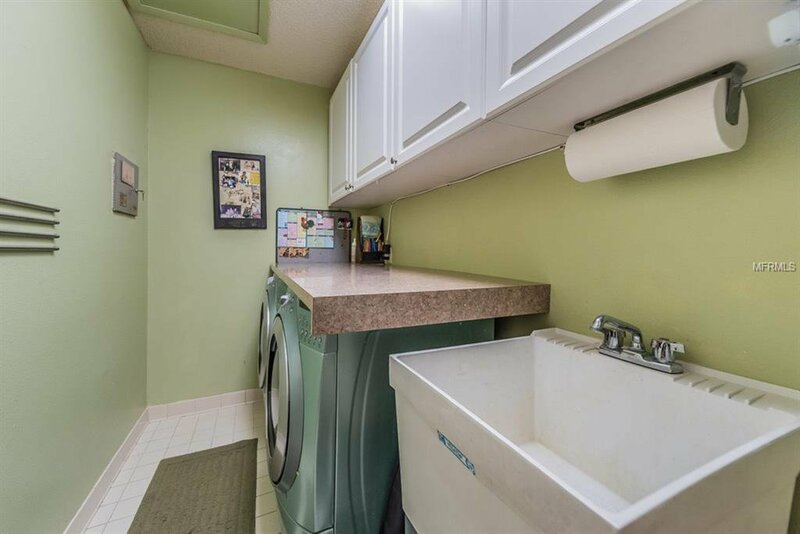 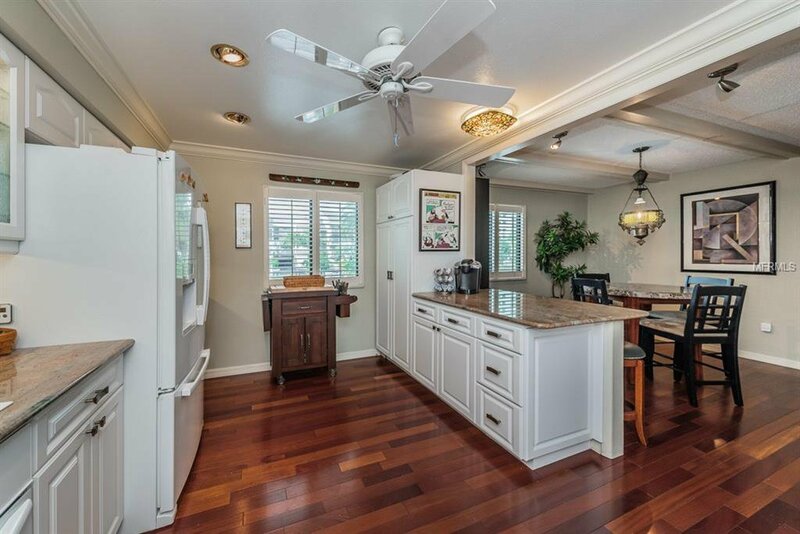 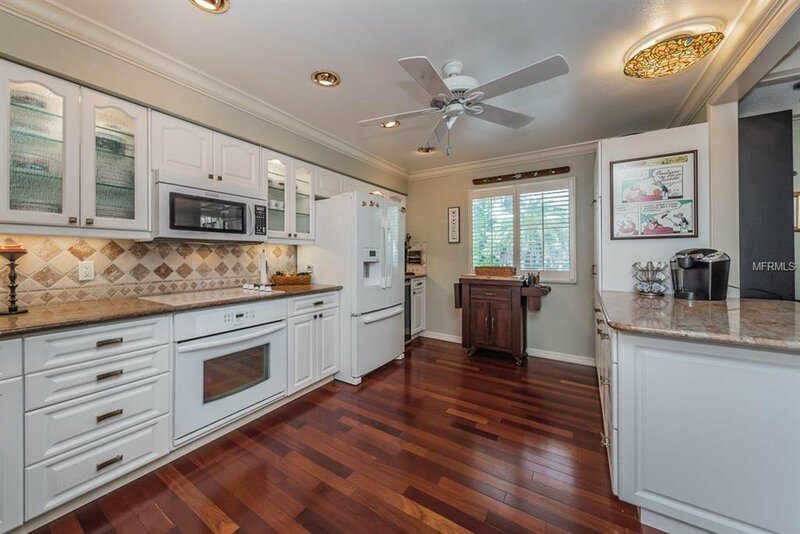 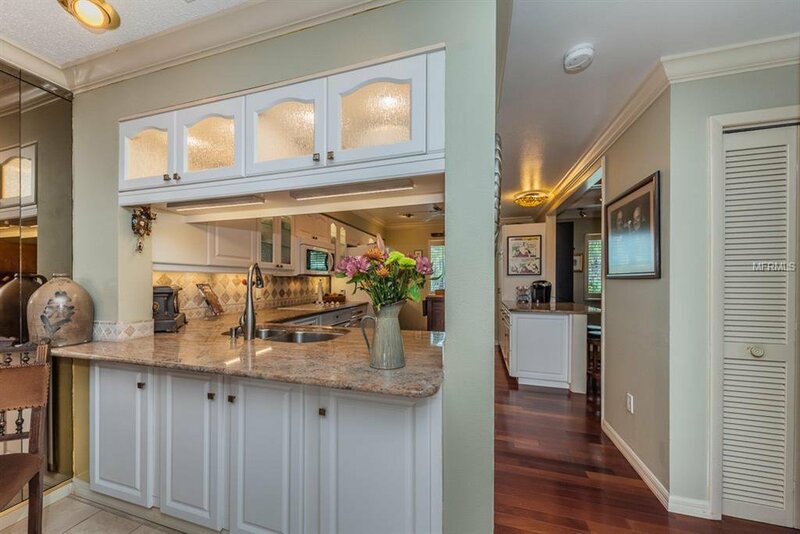 THIS TOWNHOME HAS BEEN RE-MODELED, INCLUDING THE BATHROOMS AND KITCHEN AREA. 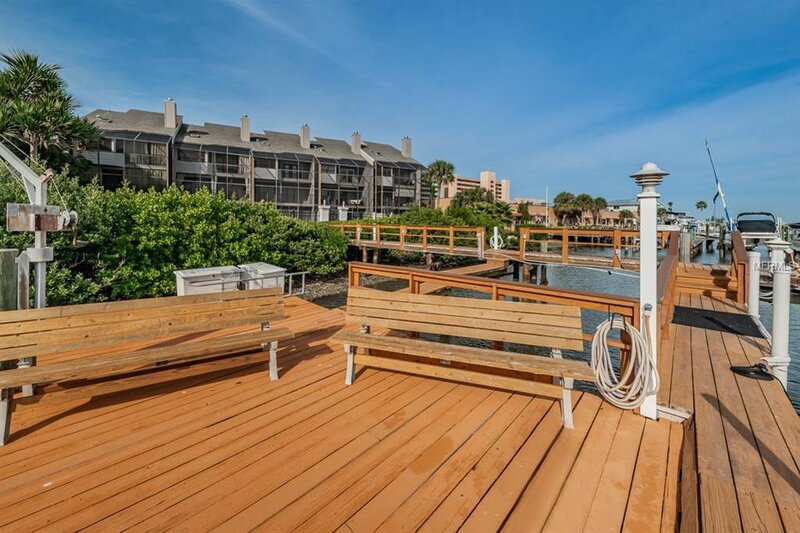 THE COMMUNITY CONSISTS OF 5 PRIVATE TOWNHOME RESIDENCES AND IN ADDITON TO THE PRIVATE BOAT SLIPS, HAS A LARGE SWIMMING POOL, SUNDECK AND OUTDOOR GRILLING AREA ! 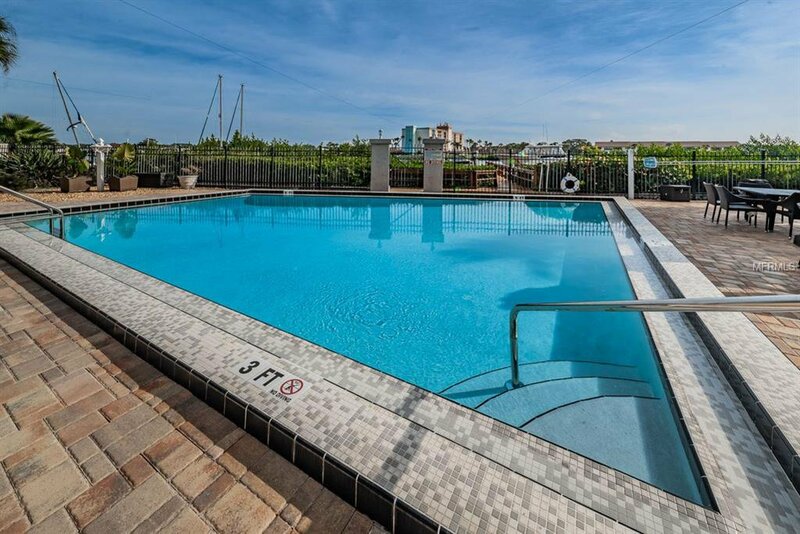 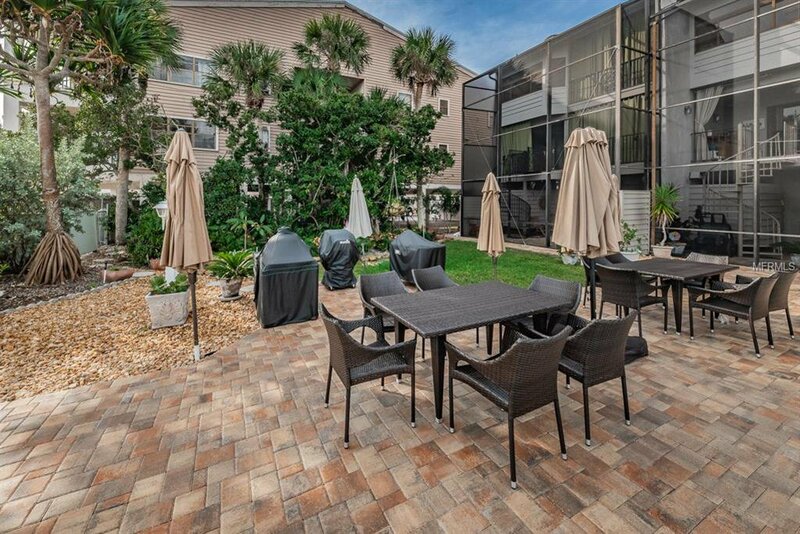 PORT ROYALE IS DESIGNED AS A CONDOMINIUM COMMUNITY SO YOUR MAINTENANCE FEE INCLUDES ALL THE NECESSARY EXTERIOR CARE, AND FLOOD INSURANCE AS WELL AS YOUR WATER, SEWER, TRASH, POOL AND COMMON AREA MAINTENANCE EXPENSES. 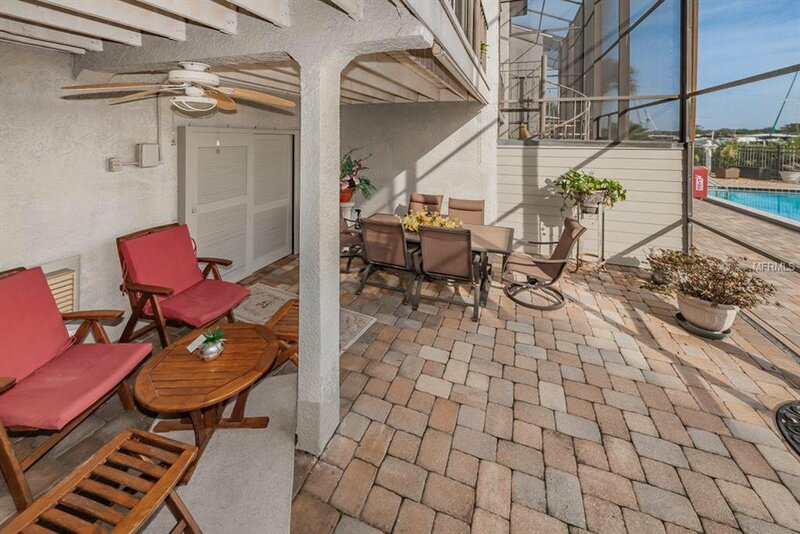 THERE IS A DIRECT BEACH ACCESS, DIRECTLY ACROSS THE BOULEVARD TOO!